"The World Crane Championship is back, bigger than ever: hundreds of skilled operators have been taking part in the qualification rounds around the world. I expect the finals to be very tough, as the most skilled operators around the world come together to compete with our fantastic HIAB cranes," says Sebastian Poccard, Hiab's Senior Vice President for Sales & Service. Qualification rounds are going on to determine best crane operators from 16 different countries. From each country, one finalist arrives to Hanover in September. Contestants manoeuvre a HIAB crane equipped with the renowned HiPro steering system through a series of obstacles, trying to arrive at a best possible time. In Hanover, the finalists get to operate a cutting edge HIAB X-HiPro 232, which is launched during the IAA Exhibition. The winner of the finals takes away a 5,000 travel cheque and 20,000 towards the purchase of a new HIAB crane - and the title of World Crane Champion 2016. "Best of luck to the finalists!" Tim Hansen, who is representing Denmark, has already broken World Crane Championship 2015 winner Johnny Jensen's record at the qualifications with his time 1.36 minutes. He is only 25 years old, but as a son of a carrier, he has been close to cranes all his life. "I can't wait for the finals! I have been running my one-man company Tim S. Hansen ApS since 2010, and it would be great to win to get a new HIAB crane," says Hansen. Robert Zamprogno comes to the finals all the way from Australia. "The track was difficult when managing precision and time set by other competitors. 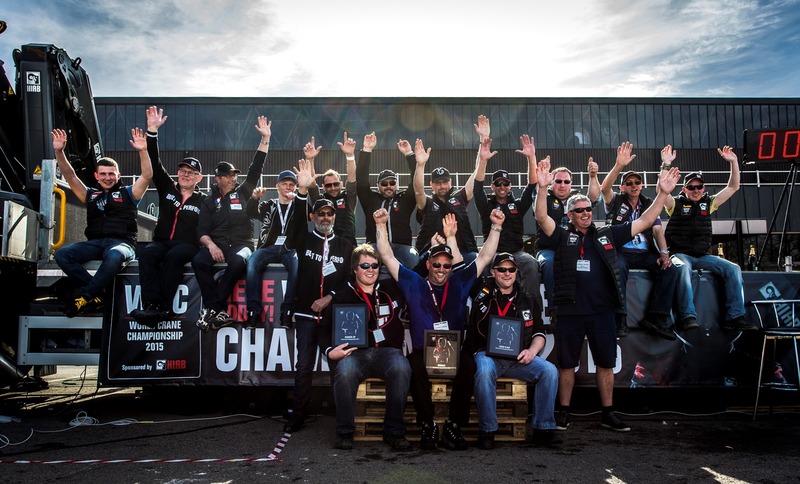 The atmosphere at the qualifications was intense, competitors were all great drivers - managing the atmosphere and pressure was the key to winning," tells Zamprogno from Rega Constructions. Guido Beaujean from H.J Beaujean B.V. represents the Netherlands in the finals - for the second time. He took part in the first ever World Crane Championships in 2015, arriving then at the fourth place. "Eight years ago I quit as a crane driver and I took over our family business. Still, every day it tickles me to go on the road with a crane truck," says Beaujean. "There is only one good product for me and that is HIAB. HIAB knows better than anyone that a crane should listen exactly to the driver. I'm hoping to do betters in the finals this year, and wish everyone the best of luck and that they enjoy this fantastic experience!" We welcome everyone to our stand Pavilion P35 OG A02 on Saturday 24 and Sunday 25 September to watch the exciting finals!